We Are So Proud of Our 2018 College Graduates! The commencement ceremony was held on January 12, 2018 in Oxnard, CA. We graduated 188 students through our degree programs this year! Congratulations to everyone who attended our virtual classes and earned their degree from near and far away. Also, thanks to all the students, friends, and family who were able to attend the ceremony. We are so proud of our student accomplishments! 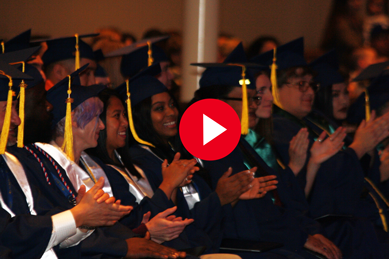 Want to see what it looks like to graduate from Laurus College? 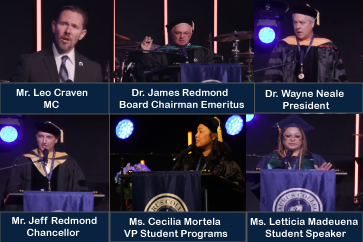 See our commencement video, featuring various speakers, and our photo gallery below. We look forward to supporting many more successful students and future graduates of Laurus College. Contact us for more information. We want to help you succeed!